It’s easy for many to forget that, in just under half of states, even medical marijuana is illegal. Even in states where cannabis is legal for recreational purposes, there are many neighborhoods, towns and municipalities restricting the sale of recreational marijuana, even if the bans are on occasion temporary. This means that, even in states where recreational marijuana is legal, there are many towns and cities where the production, process or sale of marijuana is prohibited. This even includes states like Oregon! However, as we all know, politics is a bit of a messy game, and language can be quite slippery. What does it mean to “crack down”? Are towns and cities cracking down on legal or illegal outfits, as they are supposedly doing in Long Beach, California, or are states where recreational marijuana is legal making it difficult for any type of marijuana business difficult to operate? Then there is Jeff Sessions, who may still try to press federal fines and charges on legal operations, even where it’s legal. Yes, this means that the federal government might try to forfeit assets (cash, property, supplies), without even formally charging a person with a crime! Yet, whether Sessions & co. will decide to take such a direct route and behave in a similar way to cartels work remains to be seen. No doubt, there is heaps of irony here, as the laws the federal government would call up in order to crack down on state-legal businesses are ones usually used to beat violent and illegal drug cartels! Of this there is no doubt, though: cannabis legalization is a contentious issue, and there are lots of citizens even in legal states who really don’t want recreational marijuana in their part of town for whatever reason. Some of these attitudes may also influence the decisions of local lawmakers and enforcement, so it’s worth cannabis users – recreational or medical – knowing where to keep their vapes, flowers, tinctures, edibles and so on under wraps. Essentially, what you do in your own home on your private time is of no one’s concern, so keep it that way in places which might otherwise be unfriendly to you and cause you all sorts of legal headaches. Though there have been people challenging this, Dublin in Ohio prohibits medical marijuana cultivation, processing and retail distribution under Zoning Code Sections 153.232 and 153.234. Although medical marijuana was legalized in Ohio, many towns and cities reserve the right to restrict its production or sale. This means that those who qualify for medical marijuana will have to travel to another town or city in order to get it – something which can be quite difficult for those who have difficulty moving, which tends to happen when you’re dealing with sick people! Ohio as a whole is both somewhat liberal and conservative when it comes to cannabis possession. On August 22, 1975, Republican Governor James Rhodes signed a bill decriminalizing the possession of up to 100 g (close to about 3.5 oz) of cannabis for personal use. Ohio became the sixth state to decriminalize cannabis, and considers possession of up to the 100 g limit to be a “minor misdemeanour”, with a $150 fine. Most states tend to decriminalize carrying an ounce or below, and in some senses it could be argued that Ohio’s decriminalizing of larger amounts personal possession is somewhat more forward-thinking than legalizing the possession of smaller amounts of cannabis and punishing severely amounts after that. In 2015, The Ohio Marijuana Legalization Initiative got Issue 3 onto the ballot, which would have legalized cannabis possession for those aged 21 or over. Voting “Yes” would have legalized the limited sale and use of marijuana for “recreational” purposes and allow for the creation of up to 10 facilities with exclusive commercial rights to grow marijuana. The Initiative was defeated, with 63.65% voting “No”. One of the main concerns was that the Initiative would have effectively granted a monopoly for the facilities, and this is certainly one of the reasons why Issue 3 was not well-received by Ohio NORML and the Drug Policy Alliance (DPA). As it stands, Ohio has decriminalized cannabis, and will crack down on any dispensary that attempts to open up within any towns or cities that have banned or called a moratorium on medical marijuana dispensaries. Smoking and home cultivation of marijuana is illegal in Ohio, and only edibles, oils, tinctures, patches and “plant matter” forms of marijuana are allowed to be sold. Toledo has decriminalized the possession of 200 g or less. Although recreational marijuana has been legalized in California, not every city wants a retailer in their town. Perhaps one of the largest cities in California to have done so is Anaheim, with the city wanting to control the licensing and setup of marijuana businesses in place of the state of California. Whether this means that we might never see a marijuana dispensary in Anaheim is not known, but it does seem that the city is intent on keeping marijuana out of its confines. Anaheim has never really been friendly towards marijuana, whether it’s for medical or recreational purposes. Anaheim banned medical marijuana dispensaries in 2007, and a judge upheld the city’s decision after it was challenged by medical marijuana patients in 2011. Marijuana delivery is also banned. 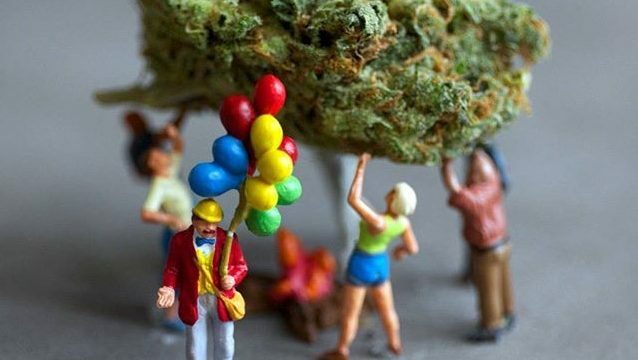 Anaheim has also set up an ordinance limiting the amount people can grow in their backyards or homes, although interestingly enough not in front yards! This would be unusual, but growing cannabis on your lawn would mean that it can be seen by the public, which is an arrestable crime. It is supposed that there are several marijuana dispensaries operating illegally in Anaheim. Should the operators not have licenses (and they likely won’t, as Anaheim’s banned marijuana businesses), then selling marijuana may well be an arrestable offense for anyone caught. Marijuana collectives are also banned by the city. Orlando Airport has banned medical marijuana from the lobby areas, hotel and gates. However, it’s an airport, so it’s not the biggest surprise that marijuana may be banned from the premises. As for Orlando itself, the city actually has two approved dispensaries – Knox Medical and Trulieve – but will likely try to prevent any others from opening up, and will more than likely crack down on those that try. The city’s ordinance currently allows for a maximum of 7 dispensaries. So, how can Orlando prohibit the growth of marijuana-related businesses? Quite simply, by using the complex laws in place there, or just not following Florida’s Amendment 2, The Florida Medical Marijuana Legalization Initiative. 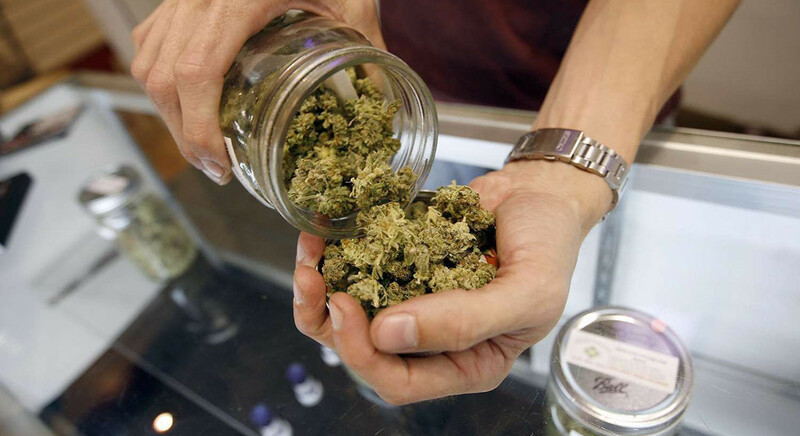 There are many criticisms on how Amendment 2 is being implemented, with many activists claiming that the applicants being granted the licenses to grow were done in a secretive manner, and that free competition is being stultified by preferential treatment. Other cities and counties in Florida have called for at least a moratorium if not outright ban, including Apopka and Charlotte County. Jeff Scott, general counsel for the Florida Medical Association, has also urged doctors to be careful when recommending medical marijuana. There are also restrictions on the amount of THC that a marijuana plant may contain in Florida, as well as the smoking of it. Like many other states where cannabis has been legalized, Saco in Maine has decided to ban the sale of marijuana, at least on a temporary basis. Whilst many cities have imposed moratoriums until the state irons out the kinks in the law – moratoriums usually last about 180 days – Saco has decided to prohibit marijuana sales for at least a year. This means that Saco will not likely have any dispensaries until 2018 at the very least. Though much of Saco’s attempts to control marijuana seem to be targeted at the recreational marijuana market, those in need of medical marijuana aren’t safe, either. Caregivers face restrictions on growing in Saco, and officials are considering zoning ordinance amendments that would prohibit marijuana caregivers from cultivating in their own homes. Growing would have to be done at the city’s industrial business district. This would mean that not only would small-time growers be faced with prohibitive costs, but would also have to grow cannabis in arguably some of the most polluted areas of Maine. Many have complained that Saco’s rules are overly restrictive, not very well thought-out, damaging to most small “mom and pop” businesses, practically unenforceable, and ultimately illegal! Oregon is known as the “green capital” of the United States. However, this doesn’t mean that the entire state welcomes it with open arms. Though most of the cities that have banned the sale of recreational and/or medical marijuana are quite small and with low population numbers, Klamath Falls has a population of over 20,000. Though there are some medical-only dispensaries located on Washburn Way, there are no recreational facilities as of yet. This was allowed by Measure 91, which lets cities and counties to determine whether or not they want a recreational and/or medical marijuana dispensary. 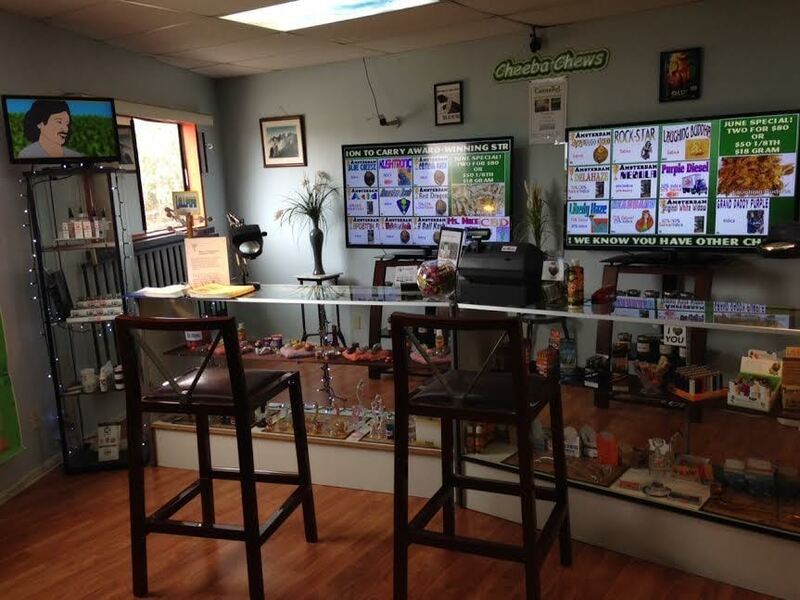 Interestingly enough, just east to Klamath Falls in Jacksonville, there are numerous dispensaries in operation. Also, just because a county has “opted out” of recreational and/or medical marijuana production, processing, distribution or sales, doesn’t mean all the incorporated cities of that county have. This means that, even though most of the western counties of Oregon have prohibited cannabis, you may still be able to get a hold of some in other cities in the county that have decided to “opt in”. Oregon doesn’t seem to be actively “cracking down” on marijuana dispensaries too actively as of yet, but this doesn’t mean people aren’t getting arrested or cited for marijuana offenses. So there we have it: 5 cities that are cracking down on marijuana dispensaries and other cannabis-related businesses in their own ways, even in places where medical or recreational marijuana is legal. Keep up to date with the latest laws here and make sure you have a medical marijuana card in the necessary states.